It's not only illegal to be holding your smartphone while driving but it's also dangerous. 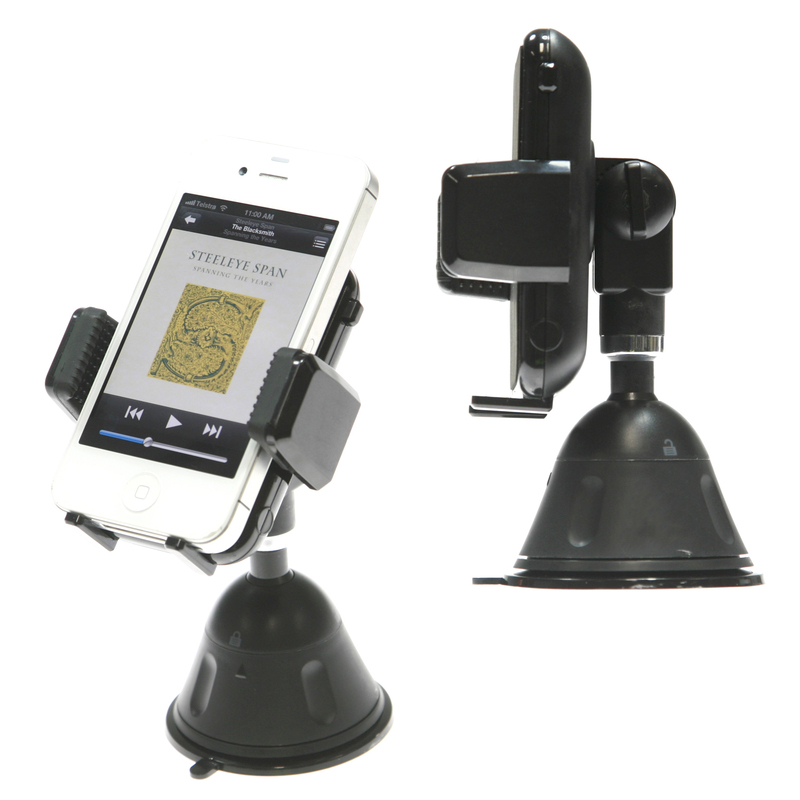 This suction cup mount phone holder by Aerpro is a convenient, easy-to-use way to hold your smartphone in various positions in your vehicle. The super-strong suction cup will securely hold the mount in place and the simple one touch auto-grip system makes placing your phone in the holder quick and easy.